Mental fatigue or reduced brain energy is one of the most common complaints after a brain injury. Children with medical conditions that affect the brain can also experience mental fatigue. Your child may need time for a 'brain rest' to give their brain enough energy to make it through the day. What causes mental fatigue after a brain injury or illness? Mental fatigue or reduced brain energy is one of the most common complaints after a brain injury or illness. Experts believe mental fatigue happens because the brain is not working as efficiently as it should. This means it ends up having to work a lot harder to think or concentrate and runs out of energy more quickly. Mental fatigue is the brain getting tired, rather than the body. How long does mental fatigue last? Mental fatigue can continue for some time after other symptoms disappear. Mental fatigue is worse immediately following the injury or illness and generally improves with time, as your child's brain injury or illness gets better or stabilises. Mental fatigue can be the last symptom to disappear, continuing for some time after other symptoms disappear. What are the signs and symptoms of mental fatigue? Your child may look tired (for example, watery eyes or yawning), fall asleep more easily (including during the day) or need more sleep than usual. Brain tiredness does not always look like sleepiness - your child may behave more impulsively or inappropriately. They may become more restless or hyperactive when their brain starts to run out of energy. Your child may have more trouble following instructions or staying focused on thinking tasks. They can be easily distracted when their brain is fatigued. Mental fatigue often increases physical symptoms such as headaches and dizziness. Having a tired brain may mean your child becomes irritated, angry or upset more easily. This can affect how they behave and interact with others. Your child's schoolwork may slip, as they are more likely to make mistakes and tend to slow down as they get fatigued. They may take longer to answer a question or complete schoolwork tasks. Mental fatigue also tends to accumulate, so your child may feel more tired in the afternoon or at the end of a school week. What can I do to help my child with mental fatigue? Your child may find it harder to get to sleep or may frequently wake during the night. This makes mental fatigue even worse. To minimise mental fatigue, try to create a good sleep pattern by having a consistent bedtime as well as good bedtime routines. Your child may need time for a 'brain rest' to give their brain enough energy to make it through the day. Brain rest times can involve taking a nap or doing a relaxing activity that doesn't need too much concentration. Make sure your child doesn't use electronic devices (like computers, iPads or mobile phones) during brain rest times, as they tend to activate the brain and won't help your child's brain to rest. Reduce your child's daily activities, particularly on school days. Remember, playing or hanging out with friends and family (particularly in big groups), taking part in extracurricular activities such as team sports or going to after-school care also uses lots of brain energy. Schedule outings or activities that are noisy, busy or need more concentration (such as schoolwork tasks or going out shopping) early in the day and make sure the afternoon is more relaxed or less demanding. Plan for busy periods (such as busy social activities or school exams) in advance to allow quiet time before and after. What can school do to help my child with mental fatigue? You can talk with your child's teacher about things they can do to help your child with mental fatigue. Teachers can watch for signs of mental fatigue in the classroom - check the list above. Using electronic devices (like computers, iPads or mobile phones) during brain rest times tends to activate the brain and will not help with brain rest. Teachers can break up longer tasks, or tasks that need more concentration with easy tasks or brain rest times. Teachers can sometimes reduce noise and distractions in the classroom and/or place your child in the front of the class or with quieter, less distracting children, which will help their brain energy last longer. You could share this page with your child's teacher. Teachers can reduce the amount of work your child has to complete. If your child is at primary school, this can mean focusing the curriculum on more essential areas and removing homework or keeping homework loads light. It is also helpful to plan the timetable so that topics that need higher levels of concentration happen earlier in the day. Break up more mentally challenging activities with a brain rest or relaxing activity. 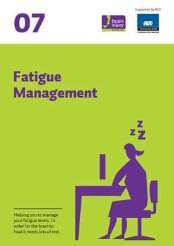 Check 'External links and downloads' below for fatigue management booklets in English, Māori, Samoan and Simplified Chinese. If your child is at high school, this can mean removing a subject or subjects from their timetable. They can then use free periods for brain rest, revision or to complete homework. They may also need reduced homework loads and/or extra time to complete assignments, particularly if several things are due at the same time. Teachers can apply for special assessment conditions for exams to allow extra time for a rest period during the exam. The content on this page has been developed and approved by the Clinical Neuropsychology Team, Consult Liaison, Starship Child Health. A 4-page booklet in English about helping you to manage fatigue levels after a brain injury. 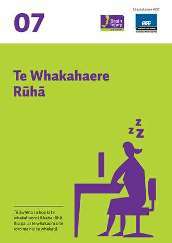 A 4-page booklet in Te Reo Māori about helping you to manage fatigue levels after a brain injury. A 4-page booklet in Samoan about helping you to manage fatigue levels after a brain injury. A 4-page booklet in Simplified Chinese about helping you to manage fatigue levels after a brain injury. This page last reviewed 19 December 2018.